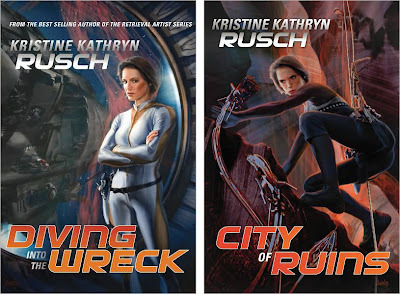 When multiple Hugo Award winner Kristine Kathryn Rusch decided to put her stamp on classic space opera, readers wanted more. 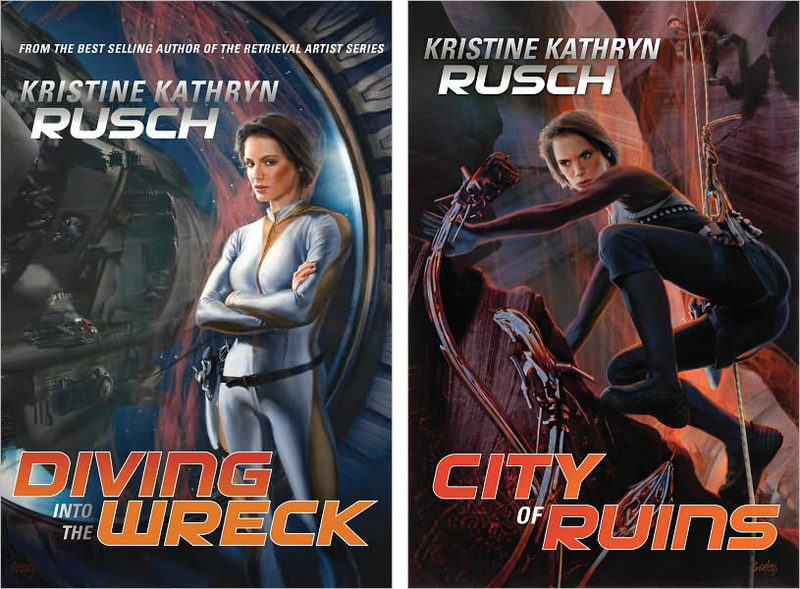 Now Rusch’s popular character Boss returns in a whole new adventure, one that takes her far outside her comfort zone, to a sector of space she’s never seen before. 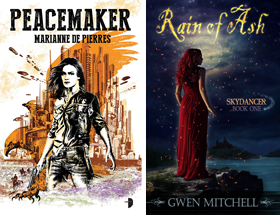 Searching for ancient technology to help her friends find answers to the mystery of their own past, Boss ventures into a place filled with evidence of an ancient space battle, one the Dignity Vessels lost. 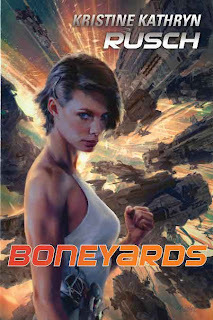 Boneyards is the third book in Hugo award-winning Kristine Kathryn Rusch's Diving Universe space opera series. I haven't had the opportunity to read the earlier installments but I didn't let that hold me back. The blurb above is pretty thorough but there are still some very interesting elements not mentioned in the chock full description. Boss is a wreck diver, that is space wrecks. She has an unquenchable thirst for ancient history and tech knowledge. She has built a small tourism trade into a business giant. Along the way to success she rescued a ship and its crew which had been locked in stasis for over 5,000 years. They are all members of The Fleet which was an expansionist, technologically advanced human culture now lost in human memory. Its captain is now her lover and he and his crew are determined to find answers to what became of their culture. Boss uses her unique skills to assist them. Many have joined her company and all of their lives are intertwined. They seek out rumours and legends to locate lost planetary installations and star-bases in search of answers. They have to step carefully to remain unnoticed by the obligatory morally grey Empire that wants to acquire The Fleets special stardrive and tech. While all of this is happening, a parallel story unfolds from the point of view of one of Boss' life-long friends Roselma (Squishy), who is almost fanatical about changing the course of the Empires stealth tech research. Most of what we learn about Squishy and her motivations is told through a clever series of flashbacks covering twenty odd years. However, the story never loses sight of the present action which is plentiful. Needless to say the two stories converge with an explosive ending, some answers, more questions and new choices and decisions leading to a dramatic new path for all concerned. Boneyards offers up the action, mystery and thrills that any science fiction reader expects of good space opera. The novel can easily be read on its own merit but I suspect reading the series from the beginning would add an additional dimension to the tale. Recommended.